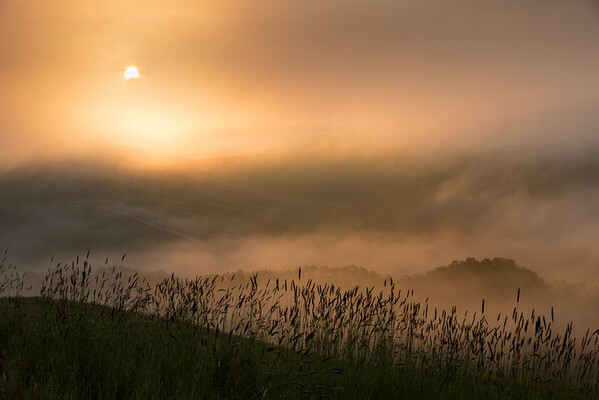 Sun cuts through the early morning mist over the valley at San Giovanni in Poggio, Tuscany. Taken with Canon 5Diii and EF70-200 mm f/2.8L IS II at 85 mm. Exposure was1/60 sec at f/11; ISO 100.